It’s the golden age old question: I want to be an actor, I want to be famous, Should I move to Los Angeles? Yes, of course you should…at some point. The question is when and how do you know? As someone who has moved there…then left…then moved back…and now floats in and out, I have a few suggestions as to how you can decide on when it is time to move to the epicenter of entertainment, Moving from Boston to Los Angeles? 1. Because you need to grow up. Sometimes the only way we can really grow is by leaving the nest. Some of us are so surrounded by love, we never get exposed to anything that can hurt us and you have to experience adversity to understand it and entertainment is the personification of adversity. Conflict is the reason for creativity. A happy ending doesn’t mean much if it wasn’t the result of a struggle, the harder the better. Art of course, imitates life. A cocooned life is not really worth living. You were born to thrive, so if you are not thriving at home, and you want to be an actor, there’s no faster place to grow up than cray-cray L.A.
2. The weather. There is no denying that Los Angeles has some of the best weather on the planet. It’s rarely too hot or too cold and it is sunny so much that most people get depressed at the mere mention of a cloud, let alone the sight of one. If you are a sufferer of seasonal affective disorder (SAD) or you’re just a hypochondriac, you may find it hard it to be sad in such a beautiful place. Palm trees are everywhere, and everyone is filled with enthusiasm and promise. The euphoria is fueled by solar-powered vitamin D and there is an unending supply. Careful, though: One drive down Sunset Boulevard and you may never want to move back to your dreary, rain-soaked home again, so bring your loved ones with you. 3. Because you’re an actor. Let’s face it, if you ever want to be known outside your hometown, you’re coming to L.A. at some point. Even if you want to be on Broadway, a good way to do that is becoming famous in L.A. first. Once you’re famous, you can do pretty much anything you want. So, just get it over with. Move and experience all the joy and pain that L.A. can bring. There’s simply nothing like it. Not even close. I love it whether I’m struggling or on a hot streak. Nowhere else can you go to a movie and ask the stars themselves about their preparation. We have the Academy Awards for crying out loud, Warner Bros. Studios, Disney, HBO, the beach, the Lakers, the Kings, the mountains, the sea, and the most amazing restaurants on the planet…as well as some of the nicest people. So if you really, really, really want to be an actor, you might as well start packing because L.A. is to actors what Kansas was to Dorothy—home sweet home, still not sure, you can change your mind find deferent destination in California, what about San Francisco? moving from Boston to San Francisco? don’t wait until you are 80 years old pack your suitcase and call professional long distance movers at 1-800-286-9959. Why people moving to North Carolina? While residents of South Carolina have long known that it’s a great place to live, it seems that more and more people outside the state are getting the memo. In a recent study conducted in 2013 by some of the country’s top moving companies, states were ranked according to how many people are moving there – or moving away as the case may be. South Carolina ranks second-highest for the number of people moving to the state, just behind first-ranked Oregon. The areas that saw the biggest gains of those moving to the state include those in the Southeast, West, and Pacific Northwest. Those states in the Southeast and West, such as South Dakota, Texas, and Colorado, have started to implement business incentives to attract new residents. In addition they have seen industrial growth in certain sectors and also boast a relatively low cost of living. Young professionals continue to be attracted to states such as Oregon in the Pacific Northwest because of their emphasis on green living, local arts, and entertainment. While gains and losses were felt in some states, there are quite a few places that have seen little change in the number of residents gained or lost. These include Indiana, Louisiana, Alabama, Iowa, Tennessee, Nebraska and Michigan. Michigan is actually seeing some relief after a fairly hearty exodus of residents in recent years. The numbers of those coming and going are finally starting to balance after years of losing many and gaining few new residents. If this study proves anything, it is that South Carolina is truly a wonderful place to call home. With gorgeous scenery, friendly people and outstanding real estate values, South Carolina really delivers. If you’re looking for a new home in the Greater Columbia, SC, area, ERA Wilder is happy to help. We love our home state and know that you will too! I recently moved from Boston Massachusetts to New York. I only had Two week to look for a moving company and was glad that I came across Long distance movers New York Benny’s moving and gave them a call. Reserving for movers was super easy and quick I spoke to Kara and she was very polite and helpful. Everything could be done online. As soon as you are done with the reservation process, they will send you and email for confirmation and someone from the company will call to confirm your date. They will give you the estimated time of the moving process and a quote of flat rate moving which I love because its guaranteed price no surprises and it was the same price as I got quoted. On my moving day. Three movers and a truck came to do the move. They showed up earlier but was courteous to give me a call beforehand. They moved everything out of my apartment in 2 hours. I waited for them to deliver my goods next day in New York City. They worked efficiently to move everything to my new place. It ended up taking them 1hr for the move, moving from Massachusetts to New York was an easy process Thanks to Benny’s moving and Storage. We moved here 2 years ago and absolutely love it - a lot of fun things to do either outdoors or indoors great malls and plenty of shopping centers, weather is incredible Can’t say enough good things about living here and I’ve lived in California, Florida, Boston, and Maryland so have exposure to a variety of different-sized towns and geographical areas. We moved from Boston to South Carolina 2 years ago and the Downsides are you may want to opt for public school if you have kids in that age range. Try to get some flexibility with work hours if you are going to have much of a commute. Any town with as many bridges as we have can have problems with rush hour but South Carolina is a beautiful peaceful place to live, I never taught I would say that moving from Boston to South Carolina was one of the best choices I did in life. Whether you are moving from Boston to North Carolina or to Georgia or anywhere in the USA I recommend Benny’s moving and storage, we had great experience using Benny’s moving services. I selected Benny’s Moving Company after reading mixed Yelp reviews and at the beginning I was worried but friend of mine told me she used benny’s moving for a local moving from Newton to Needham and she had the best experience. They office people were super friendly, polite and wonderful over the phone, and gave me a flat rate quote. The service on the day of our move was awesome experience, the movers were easy to talk with, worked quickly and efficiently and made the entire day pleasant experience which I’ve never said about company before! We will absolutely use them again and recommend them to friends and family. 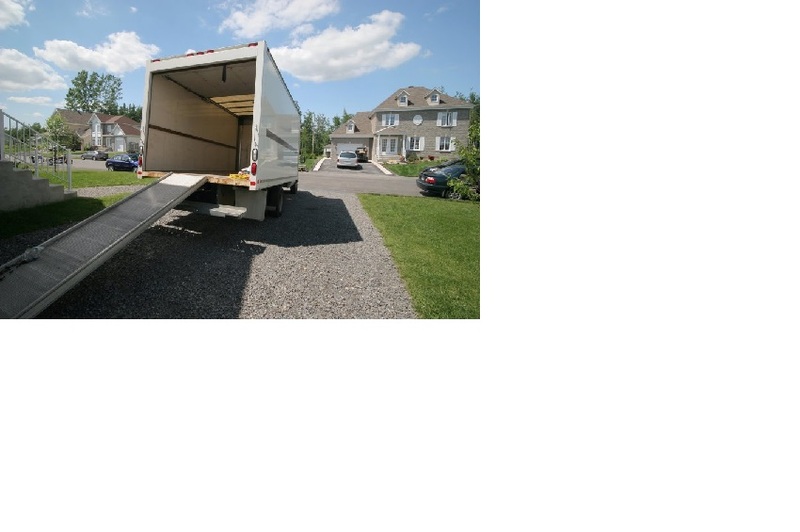 Our move took place in Newton Massachusetts and we moved to Weston, MA the movers arrived at 8:30 AM and finished around 4:30 PM, we gave the movers nice tip because we had great experience, I would give them the title of best movers in Massachusetts. and I found them online, they had mixed reviews and I was hesitating at the beginning but after talking to Kara at the office I decided to book my Long distance move with them, I also actually paid $100 less than what I was quoted. I feel like this is a rarity in moving situations. Definitely a pleasant surprise vs my previous move. Terry and William did a fantastic job packing up my things. They were super professional and polite. I had very fragile items and they were delivered in good condition without any damages, I am thinking wow I am so happy with this company definitely one of the Best Moving companies in Boston. I just moved from New York City to LA and had the best experience with Benny’s moving and Storage of Massachusetts!! I was looking for Long Distance movers in New York and Benny’s moving came up on the search result, They made this moving process so simple and easy. Great team of movers Terry, William and Jose did our pickup in New York and Santos and Giovanni in California 5 stars service (friendly, polite, careful with packing/unpacking, efficient, etc.) and my communication with the office was wonderful as well, phone calls and emails returned immediately by Kara, super friendly And polite, the best part was how easy everything was — very good price, good communication about where my shipment was, made sure the inventory matched. I’d recommend them to all our friends and family, moving from New York to California was one of the best choices I have made in my life, great weather and people. I was Planning to move from Boston to Virginia but I found a new job in DC so Benny’s moving and storage Watertown, MA moved me from Boston to DC and were incredibly professional and efficient and careful during the move. There was a team of 3 guys who came to my Boston home to move me and they went above and beyond to wrap everything. I hade few more items than originally I gave them over the phone so they ended charging me more than expected but I was ok with it and it was fair because I had more than I had thought but still they were very accommodating. I will be using them for sure when I move from DC, not only that the price was the best I found around they deliver my belongings in the next day, moving from Boston to DC next day delivery I could not asked for more. 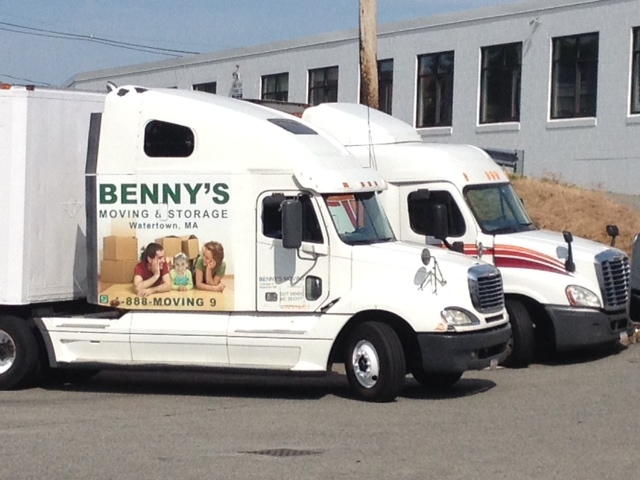 We hired Boston movers Benny’s moving and storage to move from Boston, MA to Los Angeles, CA. They had the best price by a good margin and best reviews compared to other companies. The whole process was quite easy short and smooth, they were very fast communicating and answering emails and gave us very good moving service. Looking for interstate movers in Massachusetts was way easier than I was expected, They were always on time at both locations when delivering our belongings, and it arrived to destination the within the range they had given us. All our stuff arrived safe and without any damages, The truck had nice picture on it of cute family an it was great experience moving from Boston to California. They moved my stuff from my family house in Massachusetts on a Sunday and delivered my furniture in California One week later just amazing, moving from Boston to Los Angeles was good experience. The quote that I got from Benny’s Boston Long Distance Movers was not the cheapest , but they sounded more professional and very experienced with 22 Years in business I had to give them credit for that, than I called a few other companies I got quote from and it was almost double than what Benny’s moving quoted me. I paid exactly what I was quoted . Movers did a great job . They were polite and punctual and did a good packing. I checked all my stuff it was safe . Highly recommend to anyone who is moving from Boston to California.